The Moses & Son Technical staff pride themselves on their professional and personal relationship with buyers and exporters within the wool trade. 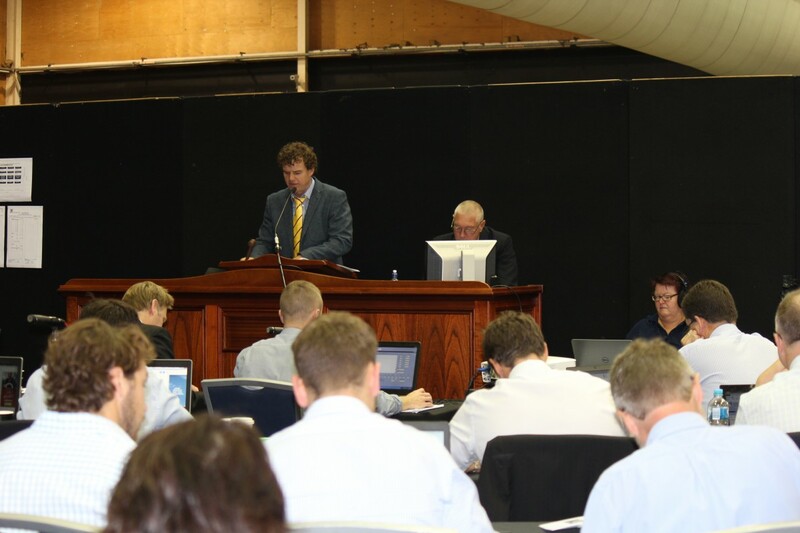 Our highly trained Auctioneers are well respected and supported, and are renowned for their ‘can do’ attitude in transacting deals between growers and buyers. Moses & Son Auctioneers value the catalogue each week. This gives them the ability to make informed decisions, on behalf of our growers, on the spot. With so many brokering houses using outside auctioneers and sales staff, this places Moses & Son at the forefront of personal service to the wool trade. Moses & Son’s Auctioneers, John Nixon & Dave Ward, are available at any time for post sale purchases as well as any private purchase enquiries. John’s mobile number is listed on the front of the sale catalogue. Moses & Son has strategically based its wool stores regionally throughout Southern NSW in order to keep costs to a minimum, which is reflected in our post sale charges. Why Look To Moses & Son? Professional Auctioneers with a personal touch. We really know our wool growers and can make immediate decisions on their behalf, streamlining the whole sale transaction process. Strategically placed wool stores allow the delivery of your wool to be cost effective, with ease and peace of mind. The ‘can do’ attitude of our staff. Our name is our reputation. Since 1920 we have been marketers to the wool industry, a claim which not many other brokers can make. To download the Auction Sale Catalogue, click on the button below. Please contact our Auctioneer/WTO for all enquires and post Auction sales.